As flooding from Florence continues, a new threat arises in the Atlantic. 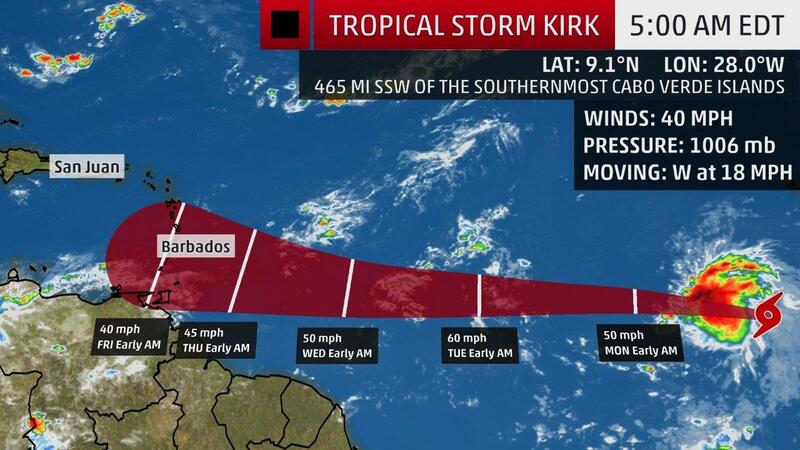 In a Sunday morning update, the National Hurricane Center (NHC) said Tropical Storm Kirk was 465 miles south-southwest of the Cabo Verde Islands, moving west at 18 mph with maximum sustained winds of 40 mph. The NHC said it is currently monitoring two other areas of disturbed weather in the Atlantic. One is located about 200 miles south-southwest of Bermuda and has a 40 percent chance of developing into a cyclone. The other – located about 1,000 miles north-northwest of the Azores – has a 70 percent chance of formation. 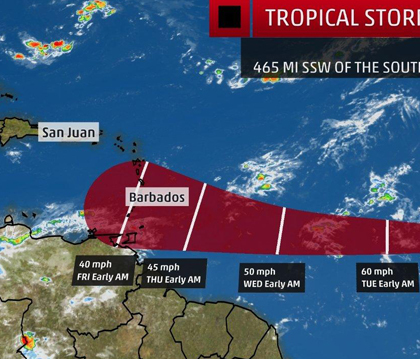 There is also a tropical depression located about 415 miles east-northeast of the Windward Islands. The Atlantic hurricane season lasts until Nov. 30. For more information on how you can storm-proof your HVAC system, please contact Custom Air Products & Services, Inc. before it is too late.